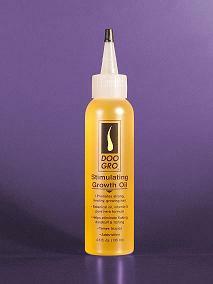 I coated the hair in Doo Gro Stimulating Growth Oil to help me detangle. I probably wont make a habit of using this as its quite expensive; its probably just as good to use Olive Oil. £3.99 per bottle so Im saving this for Hot Oil Treatments only! I spent a lot less time on the finger detangling and completed it in approximately 20 mins (maximum). I divided the hair into quarters but made the back 2 smaller than the front. I divdied the front 2 quarters into a total of 5 plaits. The breakage seemed to be Reduced. The good thing about sectioning the hair is that it makes it easier to see what areas of the hair need the most attention. For me it was clear that most of my breakage came from the right side of my head, particularly the area above the ear. By spending less time on the detangle and not obsessing over removing every knot, yet still being gentle and not rushing, the amount of tampering with my hair is Reduced, thus so is the amount of breakage. Used the Keracare Sulphate-free Hydrating and Detangling Shampoo. 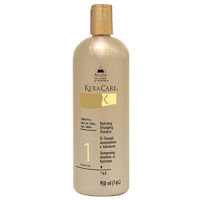 I conditioned using the Keracare Humecto Crème Conditioner. This time I mixed it with a little Keracare Anti-dandruff Stimulating Conditioner – it’s a lot runnier than than the Humecto conditioner and very tingly because it contains Tea Tree. I Combed it through each section, which I then re-plaited. I Rinsed out the conditioner after 25mins. My hair felt SO good and healthy as I combed through and styled it. There was so much LESS Breakage!